“They needed time to understand ... and to be convinced that they were safe." 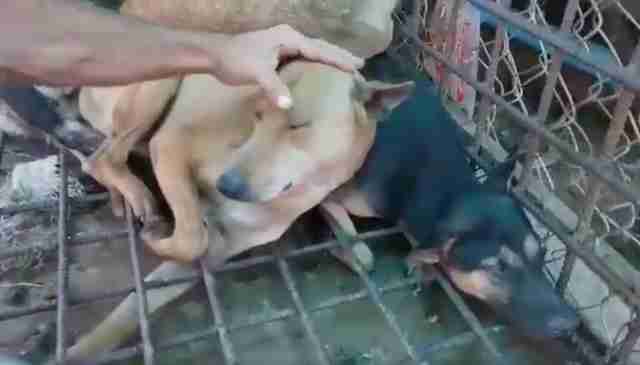 The dogs huddled together in the back of a filthy cage, trembling with fear. They’d seen what had happened to other dogs — people had used nooses to pull them out by their necks, and brutally killed them for their meat. It would only be a matter of time before the people with the nooses came for them. 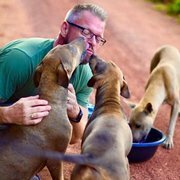 Last week, Michael Chour and a team of rescuers from The Sound of Animals, an organization that saves dogs from the meat trade in Southeast Asia, visited the dog meat slaughterhouse in Siem Reap, Cambodia, where hundreds of dogs were crammed in tiny cages, waiting for their turn to be killed. In Cambodia, it’s legal to kill dogs and sell their meat, so the rescue team had no legal ability to seize the dogs. 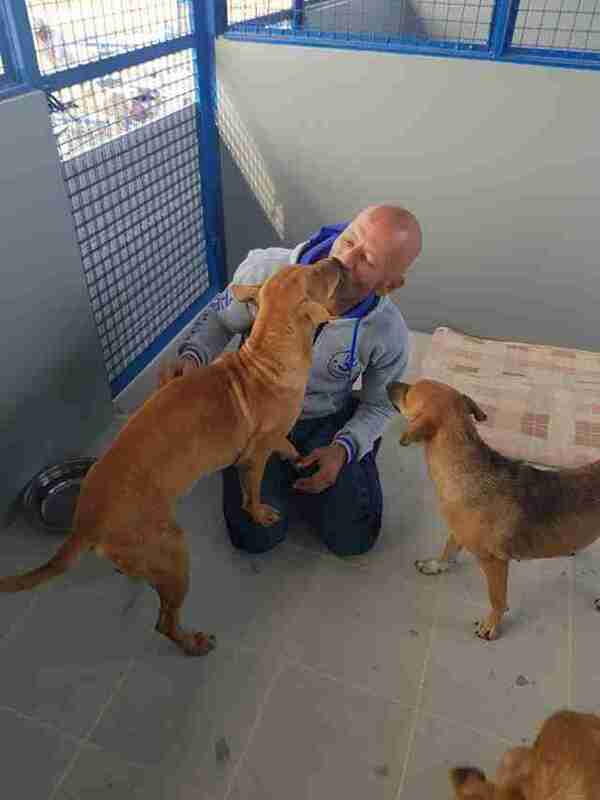 But they still wanted to save as many dogs as they could — so they approached the slaughterhouse owner and negotiated the release of seven dogs. But getting the dogs out of the cages wasn’t easy. 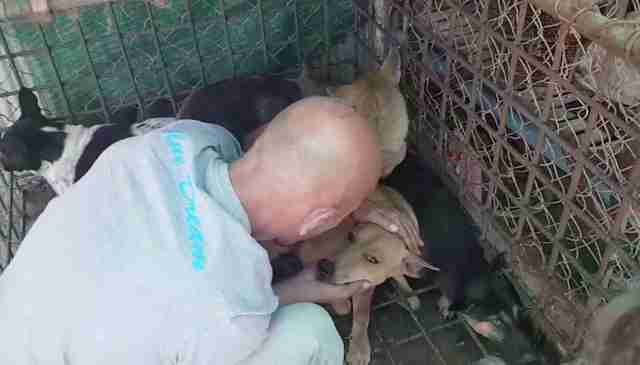 As soon as the rescuers opened the cage, the dogs crowded into a corner. So Chour did something bold — he got into the cage with the dogs to gain their trust. It took about an hour before the dogs finally started to relax — and Chour stayed inside the cage the entire time. One by one, Chour and the other rescuers gently pulled the dogs out, loaded them onto a truck and drove them to safety. 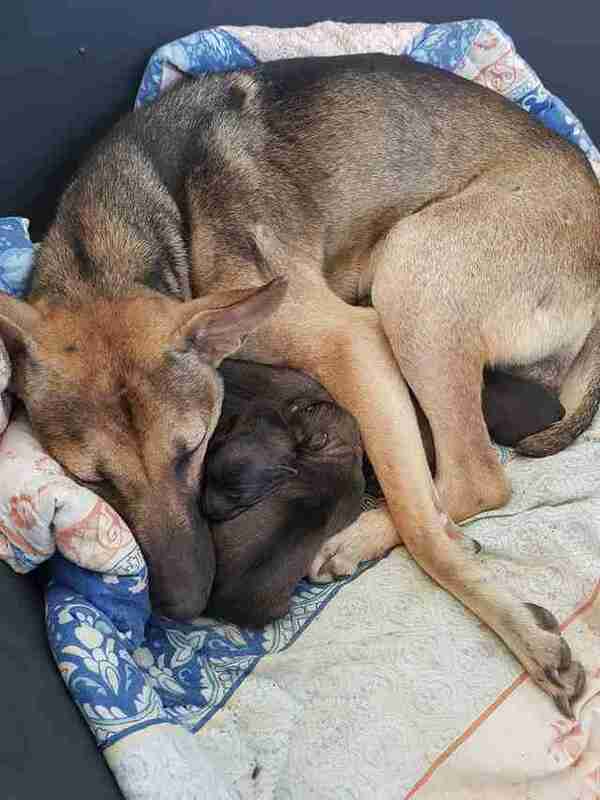 But leaving the remaining dogs at the slaughterhouse was the hardest thing Chour had to do. “I sat for a long time near their cages, asking them to forgive me,” he said. 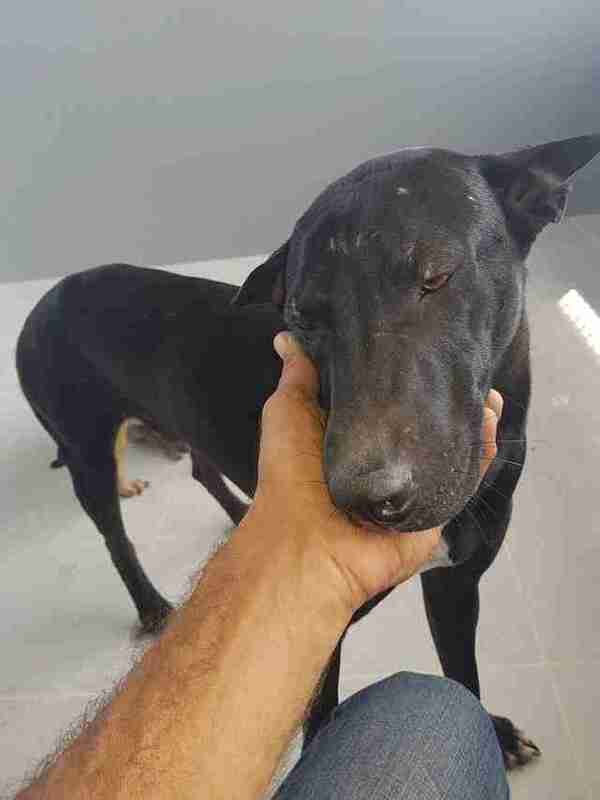 The seven rescued dogs are now living at a new shelter in Thailand run by The Sound of Animals, and Chour says they couldn’t be doing any better. One of the rescued dogs had been pregnant, and she’s now given birth to five healthy puppies. The dogs will stay at the shelter until the rescue team can find forever homes for them. Chour is especially hopeful that they’ll be adopted by overseas families. If you’d like to adopt a dog yourself, get in touch with the Sound of Animals team via Facebook. You can also help rescue more dogs from slaughterhouses in Southeast Asia by making a donation to The Sound of Animals.